Oriyarasoi - The cosmopolitan Odia's Kitchen ! : Thank You Soumya & Harika !!! Thank You Soumya & Harika !!! Got up on a Saturday Morning to find an award waiting for me!!! Had to pinch myself....M I dreaming...refreshed the page..Yipee....its still there!!!! Feels wonderful...you made my day guys!! 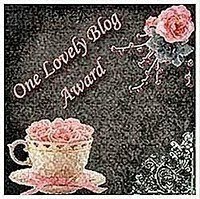 Thank you Soumya ( http://entepachakalokam.com/blog/) & Harika (http://harikaskitchen.blogspot.com/) for passing this award to me!!! Please do visit then for some very innovative and drool worthy recipes!! Congrats dear. Wish you many more awards.